Just a few minutes from Abbey Road On The River and across for The Radisson Hotel. Our Campground makes an ideal base camp for attending the city’s major events, conventions and myriad attractions. 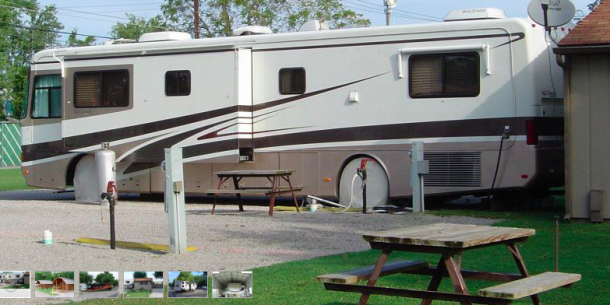 You’ll find all the conveniences you need here, including full hookups and digital cable TV at every RV Site. RV service is available next door and a pool and water park are just a half-block away. Max pull thru: 70 feet.